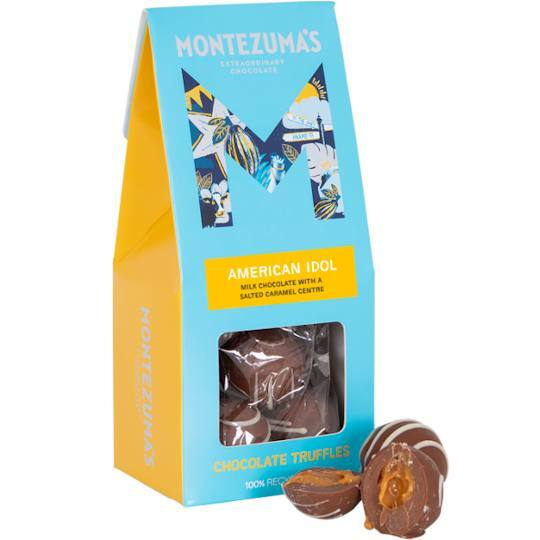 If you are a fan of salted caramel then Montezuma's American Idol Salted Caramel Milk Chocolate Truffles are a must try. 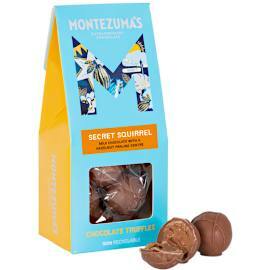 Thick milk chocolate shells decorated with white chocolate and filled with salted Dulce de Leche. Dulce de Leche is made from sweetened milk and creates a sweet and smooth caramel, and adding salt adds extra dimensions to the flavour. 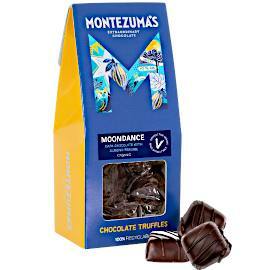 Each bag of chocolate truffles from Montezuma’s are filled with, approximately, eight truffles and are tied with a ribbon and a tag. Making them a great gift or chocolate treat. 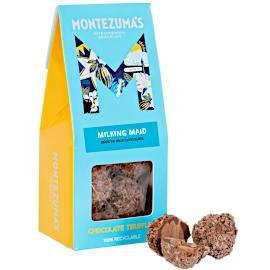 Similar milk truffles from Montezuma's include Milking Maid, Far Cape and Colombian Cappuccino, the same style bag. 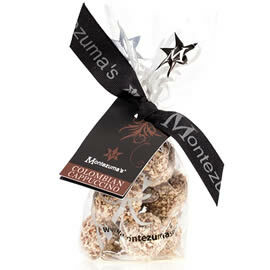 A bag of pure milk chocolate truffles from Montezuma's, made with milk chocolate and salted caramel. 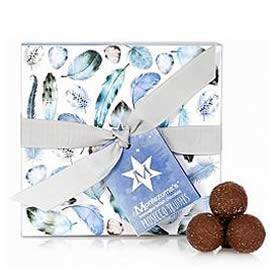 Beautifully presented in a blue and white, ribbon tied gift box - Montezuma's Prosecco Chocolate Truffles Collection, milk chocolate truffles with a white chocolate and Prosecco centres. 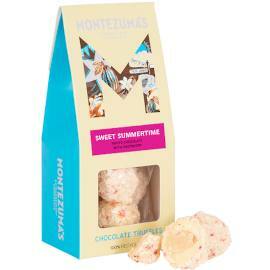 A gorgeous little bag of white chocolate and raspberry truffles, Montezuma's Sweet Summertime Raspberry White Chocolate Truffles.